The team at MindBodySpirit Care in Tampa, Florida is excited to now offer Restylane Refyne and Defyne, two flexible hyaluronic acid dermal fillers recently approved by the FDA to target nasolabial folds, also known as laugh or smile lines. By utilizing next-generation XpresHAn Technology, these two new Restylane products can efficiently treat moderate, severe, and deep facial wrinkles and folds for up to 12 months. Are You Frustrated By Your Nasolabial Folds? Wrinkles naturally form between the side of the nose and corners of the lips every time you smile and laugh, but as you get older, those wrinkles stay in place and become deeper and more noticeable. These are known as nasolabial folds, and unfortunately the impacts of aging like loss of fat, collagen, elastin, and hyaluronic acid in the skin cause these wrinkles to become permanent etchings in the skin. 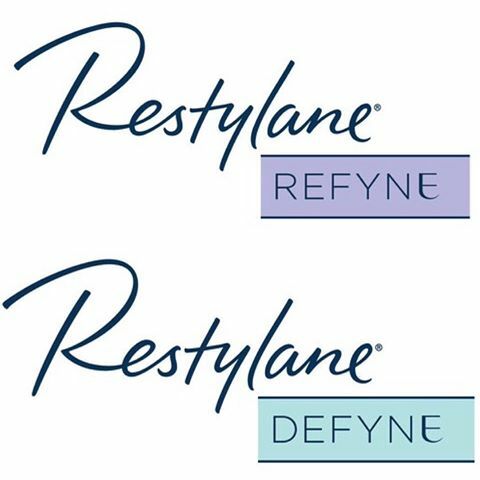 Restylane Refyne and Defyne are uniquely formulated to target shallow and severe nasolabial folds alike. Using hyaluronic acid, one of the the most essential components of healthy and hydrated skin, these Restylane fillers provide the skin cells with structural support that locks in moisture and lifts wrinkles to become level with the skin. Refyne and Defyne products are even formulated with crosslinked hyaluronic acid molecules to give the filler gels a range of flexibility that can support the various needs of unique patients. Restylane Refyne is designed specifically to offer a flexible and delicate effect that subtly fills shallow and more moderate nasolabial folds. Restylane Defyne, on the other hand, is the best choice for deep and severe facial folds since its hyaluronic crosslinks are sturdier and less flexible. Once injected into nasolabial folds, the Restylane products fill and lift wrinkled skin to achieve a smoother nasolabial area. The results look completely natural and are clinically proven to significantly improve the appearance of smile lines for up to a year. It only takes one appointment at MindBodySpirit Care in Tampa, Florida to use Restylane Refyne or Defyne to revitalize and enhance your appearance. Whether you are trying to prevent wrinkles or eliminate nasolabial folds that have become set deep into your skin, the expert injectors at MindBodySpirit Care can strategically use Restylane Refyne or Defyne to give you smoother, younger-looking skin. Call MindBody Spirit at (813) 935-2273 or (813) 964-6804 to schedule your appointment at one of their two Tampa, Florida locations.